I was introduced to Annabelles Wigs earlier this year, and have had so much fun working with them, and Brighton based photographer Chris Giles. This is the first time that we have ever collaborated together to make a video and I think the outcome is superb! We had such a fun day together, the end result looking like this! - Plenty more videos to come... Enjoy! The bright blue back ground is a lovely contrast with the model's dark hair, set in heated curlers and loosely styled. I am a Make Up Artist and Hair Stylist based in East Sussex, although I work all over the country. I intend to use my blog as a portfolio of my work to share with you - I hope you enjoy viewing it. First up - My favourite all time wedding photo. Taken at Buxted Park. I love the simplicity of this look with the silhouetted background. Why go over the top with hair and make up when you can let the dress flowers and jewellery talk for themselves? Sometimes my job is about getting the balance of the complete look right, as I think this photo shows. 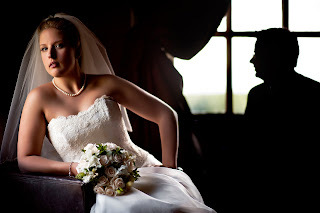 A fresh natural look (with eyelash extensions applied) equals a timeless wedding photo that will never go out of date.